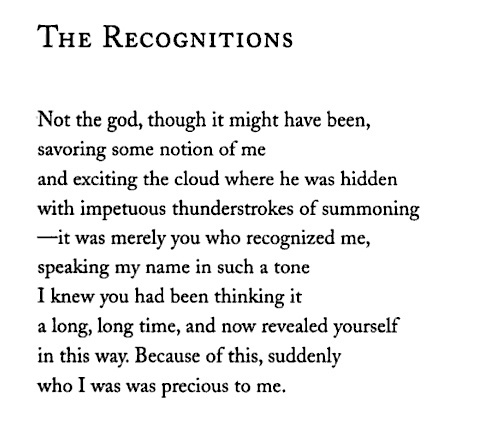 The Recognitions is a poem by Irving Feldman that I cut out of New Yorker magazine in 1996 and pasted into my sketchbook. I had it memorized, and when my project decided to appropriate the title, in 2006, it made complete sense. Magical sense.